Are you in high spirits to edit or create movies with your own hands? It sounds fascinating to do that by cutting, trimming, cropping, merging and applying fabulous effects for the given videos. You will enjoy the moment when you are watching the movie produced by yourself. Wanna make it soon? Just follow this review to see the top 7 popular movie editors and select an optimal one for yourself. As one of the best professional video editing software, Joyoshare Media Cutter can play all important roles in different aspects. With it, you can easily cut unwanted portions, seamlessly join video clips, flexibly edit imported file and quickly finish format conversion. Not to mention that it can support a large number of formats, such as M4V, AVI, MP4, MPG, MPEG, 3GP, 3G2, WMV, ASF, RM, RMVB, DAT, MOV, FLV, MKV, DV, VOB, etc. By means of it, you can also specify configuration info, including resolution, codec, bit rate, sample rate, channel, etc. Most of all, its well-organized movie editor facilitates you to take snapshot, crop definite area, adjust brightness, contrast, saturation and hue, rotate video to 90 degrees, reset aspect ratio, apply cool effect, customize watermark and insert subtitle and so on. This strikingly competitive movie editing software, Lightworks, has been at the forefront of movie editing. Under the help of it, you can find it is easy to create Hollywood movies according to your own needs. Being available on all the major operating systems, like Windows, Mac and Linux, it can be taken into consideration by majority of users. Likewise, you can use its handy trimming tools, real-time effects, royalty-free media content and strong multicam support to get your movie-making process amazing. As you like, you can export the finished movie to YouTube/Vimeo with a resolution of up to 4K. 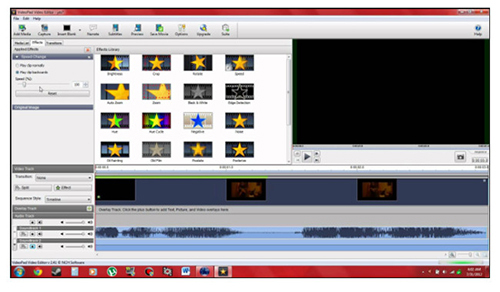 VideoPad Video Editor is an incredibly superb choice for rookies who have affection for editing movie. It comes with an intuitive drag-and-drop user interface, making movie source imported fast. Taking the aid of this movie editor program, you can burn your movie to DVD, CD, Blu-ray, or transfer it to other format, like AVI, 3GP, WMV, MOV, MP4, GIF, MPG, etc. It's also support uploading to YouTube, Flickr or Facebook. If you long for an innovative movie, you can add text, reduce camera shake, fine tune color, edit 360 degree videos, etc. 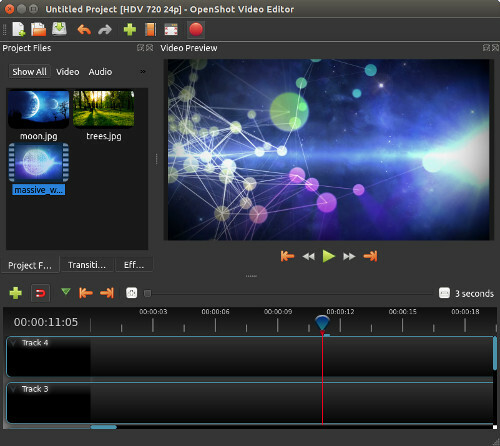 As the name suggests, OpenShot is a completely free movie editor that attracts plenty of users' concern. It cannot be underestimated owing to its wonderful capability to produce amazing movies for you. Alternatively, OpenShot has the option for trimming and slicing designated video in straightforward way. It's as well accessible for you to strip background from video, adjust brightness, invert color, use animation framework, render 3D animated titles and control playing speed. 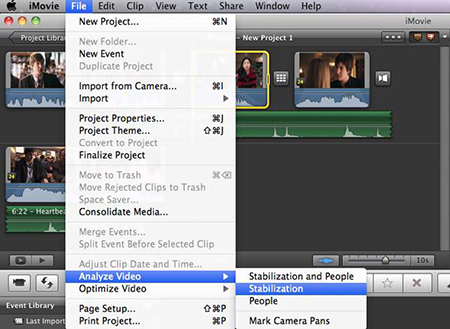 You can get to know advanced movie editor software now. 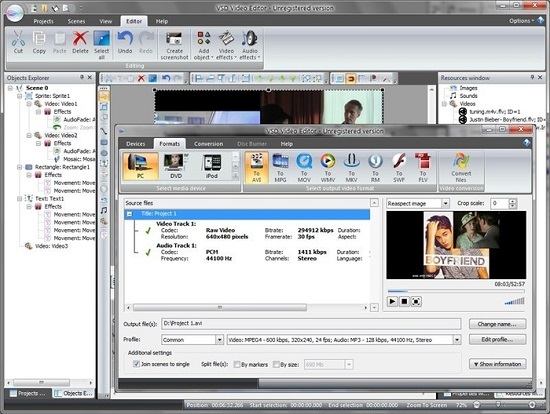 It is VSDC Free Video Editor. 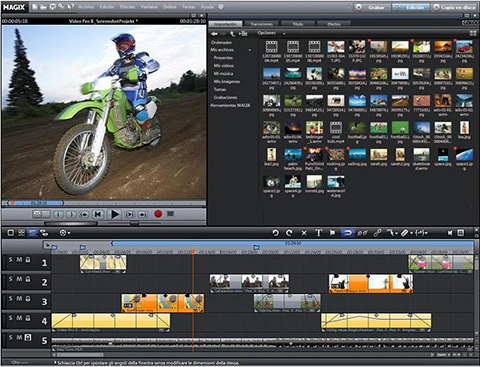 Unlike most of other editors in current market, it is a non-liner video editor that lets objects to be placed in any position on the timeline. 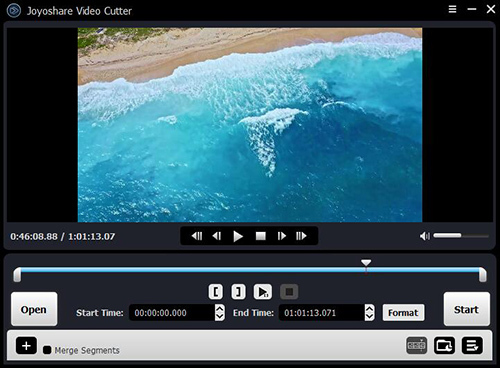 In addition, VSDC Free Video Editor is decent enough to make special movies by applying attentive functions, color correction, object filters, object transformation, transition effects and special fx. Besides, you can feel free to use other applicable tools, such as video stabilization, DVD burner, file converter, masking, video library, etc. Magix Movie Edit Pro is honestly a top-notching tool, which is devoted itself to creating exceptional movies. It's fantastically outstanding with a huge array of splendid features. That is to say, as long as you can smartly use them, the output movie will be eye-catching. Generally, regarded as one of the best software to edit movies, it gives you trail-like movie templates, 4K file support, high-quality post-processing zoom, color filtering plugins, etc. Its direct upload ability also assists you to share movie to Facebook, YouTube and Vimeo. iMovie is another pretty best movie editing software for Mac. Serving as Apple's own video editing software, it can give you a hand to become a great movie producer. Therefore, you can import any useful source to create one stylized video. It's open for you to add exquisite animated titles, changing playing speed, adopting green-screen effects, applying high-fidelity filters and more to get 4K-resolution movies. Notably, you are entitled to cut videos in iMovie as well. We have already introduced all essential info for the 7 best movie editor software in 2018. You may have a general impression about them. Good result is that you can get the one you like from the full list. However, if not, you can still get down to looking further. Perhaps, you can have a look at this video editors' collection.